We are happy to announce that WP-Lister for eBay 2.0 has finally been released – with long awaited support for multiple eBay accounts and sites. 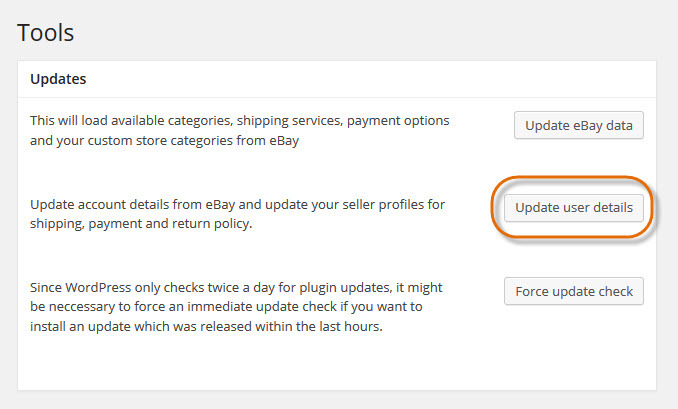 Additionally, you’ll be able to view and manage your eBay messages within WP-Lister. This feature is still in beta but should be stable by 2.1. There is more to come in 2015. The template engine will see an upgrade and eventually there should be a collection of free and premium listing templates on wplab.com. Upgrading to version 2.0 is as seamless as upgrading from the free version to WP-Lister Pro is. All your data will be preserved – and you could even switch back to version 1.6.x with a few clicks. First you have to upgrade your license, which only takes a couple of minutes. Version 2.0 uses a new update system so you will need a new license key as well. Simply log in to your account and follow the instructions. Just like WP-Lister for Amazon did right from the start, WP-Lister for eBay 2.0 will require annual license renewals in order to receive updates and support. The good news is: While version 2.0 was always supposed to be a paid upgrade, you can upgrade for free until christmas 2014! So if you own a license for WP-Lister for eBay 1.x, hurry up and get a free one year license for 2.0. WP-Lister for eBay has come a long way since its birth in 2012. With the recent advent of WP-Lister for Amazon, WP-Lister has become a more of a platform than a simple listing tool. Developing this platform is a continuous effort and has never stopped nor paused. But eBay and Amazon are not exactly “static systems”. They add new features all the time – like eBay’s Out Of Stock Control option. We keep up with their API updates, WooCommerce and WordPress updates and continue to implement most features requested by our users. Version 2.0 was released over two years after 1.0 – and I’d rather release new features as they are implemented instead of keeping something back to justify another paid major upgrade. Everyone will benefit from this new pricing plan – but most of all the users of WP-Lister which can rest assured that the platform they rely on will keep on improving and be maintained for a long time to come. If you’d rather stay on version 1.6.x you’re welcome to do so – it’s your choice. Your license and WP-Lister will continue to work, but there won’t be any more updates or support for 1.6.x except critical bug fixes. With this new version released, our main focus will be on the general user experience – starting with updating and improving the documentation. The current single page FAQs will become a searchable database so we can better link relevant information right within WP-Lister. When you create an account on eBay you have to choose a unique user ID. This user ID is the one you use to sign in to your eBay account. As the name implies, a user ID is your “identity” on eBay. It is as important as your feedback profile. Your customers, trading partners and other sellers recognize you by user ID. Though you can change your user ID – once in a 30-day period – it’s recommended to choose one you’ll use for as long as you want to use your eBay account. If you didn’t give much thought to choosing a proper user ID when you first created your eBay account you might later decide to change it to something that better represents your business – but you should think twice before you change your ID as anyone who will see a change icon next to your ID for 14 days. This could be mistaken for a “warning sign” which could scare away some customers. You should also keep in mind that customers will remember you by your user ID and if it is changed, there’s a great chance that they won’t find you when they search for your old ID on eBay (unless of course you let them know one by one). You can lose customers and obviously that also means losing your sales. It should be noted that changing your user ID will keep your positive and negative feedback as it is – the only thing that will be changed is your user ID but not your feedback history. So in case you’re wondering if you should change your ID to get rid of negative feedback, the answer is: No, it won’t work. Changing your eBay user ID won’t do any harm to your WP-Lister setup. When you connected WP-Lister with your eBay account, eBay generated a so called security token which is independent from your eBay user ID or password. This means your eBay token won’t change when your eBay user ID is changed. When you have changed your eBay user ID, you’ll still see the old user ID in WP-Lister’s settings. This won’t have any impact on how WP-Lister works, but in order to make WP-Lister recognize the new ID all you need to do is: Visit WP-Lister -> Tools and click the button “Update user details”. That’s it! The first step when setting up WP-Lister on your WooCommerce site requires connecting WP-Lister to your eBay account. During this authorization, eBay will generate a security token – after you signed in on eBay and you agreed to grant WP-Lister plugin an access to your eBay account – which is stored in the database once you’re redirected to WP-Lister’s settings page and click on “Fetch eBay Token”. This eBay token is a unique key allowing WP-Lister to communicate with eBay on your behalf. This way WP-Lister doesn’t have to store your private eBay password – but there is one catch: eBay tokens do expire after two years. WP-Lister does check your token expiry date on a frequent basis – and it will show a warning if your token expires in less than two weeks. What to do when my eBay token has expired? When you see this error message while working with WP-Lister your eBay token has expired and you need to re-authenticate WP-Lister with eBay. 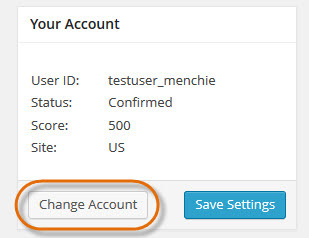 To do this visit WP-Lister -> Settings, click the “Change Account” button and follow the instructions. These are just some few things worth knowing about your eBay account – especially for those of you who have been using WP-Lister for almost two years and will have to update their eBay token soon. Please share your thoughts and ideas with us by leaving your comments below. UPDATE: This offer was valid in 2014 and has expired now! 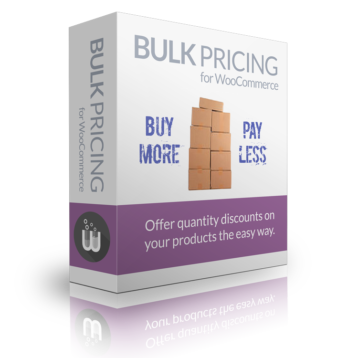 Now is the time to save big on some awesome WooCommerce plugins! All you need to do is enter the coupon code EASTER20 at checkout to get 20% off all our products. Extend your audience by listing your existing WooCommerce products on eBay – or use the importer add-on to migrate your eBay store to your website. 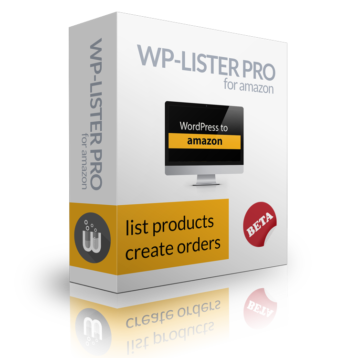 WP-Lister Pro will sync your inventory and integrate your WooCommerce site and your eBay store. Start selling on eBay now! Offer bulk discounts for your products. A flexible an powerful solution that will work for almost any use case. Examples: “Get 5% discount when purchasing 10 items or more” or “Buy three and get one free”. Use your existing credit card terminal to process your website payments in your own way. Integrates well with our new WooCommerce Fraud Prevention plugin to let you decide whether to process a payment. One of the reasons why WordPress website owners or managers don’t take advantage of the updates available is because they are unaware of its benefits. That’s understandable since not all WordPress users are designers, developers or webmasters. Updates fix bugs and security issues and improve your site functionality and performance. Ignoring these updates means leaving your WordPress site open to vulnerabilities and attackers – as if a red carpet is rolled out inviting hackers to add spam on your site. You can see in the report below that WordPress dominates as top web publishing platform for blogs and CMS sites in general. More than 60% of them run on WordPress which makes it a juicy target for hackers. We can’t emphasize enough how important it is to regularly upgrade your WordPress site and your plugins. You won’t miss an update for WordPress itself as WordPress prompts you to update when there is a new version available – but outdated WordPress plugins are the ones that are less noticeable. When you see that red little circle with a white number that appears next to the Plugins menu, there are new updates available and you should update as soon as possible. Updating WordPress is almost too simple – an all updated site is only a few clicks away. However, you should take some precautions before you updating. You need to have a recent backup of your site – which should be created a regular basis anyway. It can happen that an update introduces new issues – or even a tiny chance it might break your site – so if something goes wrong while upgrading, you need to have the option to restore the previous version from a backup. If you went with wpengine.com, you’re lucky as your site already has a one click solution built in. There is the free Sandbox plugin on wordpress.org. Read more about it in this post on wptavern.com. Another hosted solution would be wpstagecoach.com – but you’ll need to sign up as a beta tester for now. If all fails or you’re looking for more manual control, have a look at the WP Migrate DB plugin – there is an excellent Pro version available as well. Is your WordPress website updated? 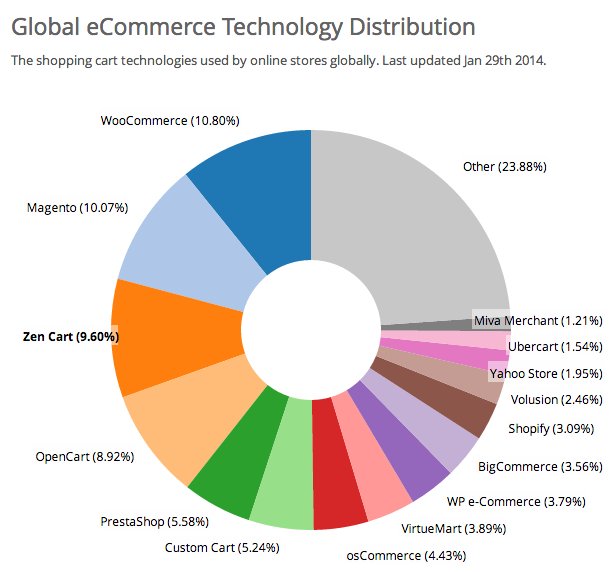 It’s official: WooCommerce is the world’s most used e-commerce platform. According to WooThemes who recently published some statistics based on data from BuiltWith, WooCommerce is installed on more sites than any other e-commerce software. WooCommerce outranks not only other WordPress plugins like WP e-Commerce or Shopp, but all self-hosted solutions including ZenCart, PrestaShop, osCommerce, Shopify, you name it. It even surpasses Magento – while it should be admitted that Magento still has a greater share with high traffic sites. If you’re a shop owner and thinking about migrating to WordPress / WooCommerce: Do it. It will require some one time effort, but you’ll be rewarded with a stable, future-proof and maintainable e-commerce solution which is loved by developers and search engines alike. No more “I’m sorry, but I’m afraid I can’t do that” from your dev guy because implementing your wishes would require messing with the core your e-commerce software and make future updates a nightmare – a skilled developer can do almost anything with WooCommerce, without every touching the core. Let me know what you think in the comments. Is WooThemes doing right? How big will WooCommerce or WordPress be in one year from now? If you have ever wondered how you could create custom listing shortcodes to be used in your WP-Lister listing templates then read on… it’s easier than you might think. Since WP-Lister 1.2 each listing template has its own functions.php file – which is different from your WordPress theme’s functions.php. Both work in a similar way, but your theme’s functions.php affects your whole WP site while a listing template’s functions.php affects only your eBay listings and preview. Why not use your theme’s functions.php? For two good reasons: First custom listing shortcodes should be bundled with the listing template where they are used, so when you duplicate, download or upload listing templates, the required code will always remain attached. Second, if you make a mistake or typo, you won’t shut down your entire site – only the listing preview won’t work. To get started, open up your listing templates functions.php (from now on referred just as functions.php). You can use your favorite code editor to edit the file via FTP – but you can just edit the template and scroll down until you see the current functions.php content. Save your template and use [[hello_world]] somewhere in your template. You will see that it gets replaced with “Hello World!”. However, you wouldn’t want just to replace some text – that doesn’t make much sense as you could write “Hello World!” right in your template. Now you can use [[_sale_price]] anywhere in your template – which will be replaced by the formatted and labeled value, or removed if there is no sale price. As you can see, you can just use any WordPress function as you would do in a plugin or any other code snippet. With a a few lines of PHP you can create custom listing shortcodes for almost anything. Version 1.3.1 of WP-Lister Pro has been released today and should show up in your WordPress dashboard soon. This release features some important updates to the inventory sync process that you should know about. WP-Lister 1.3 introduces the concept of locked listings which can be very useful if your products have been imported from eBay – or if you just want to keep the inventory synced but nothing else. When a locked listing is revised, WP-Lister will only revise the inventory status / stock level on eBay, but leave other details untouched. This will happen by default each time you update a locked product in WooCommerce – it’s very fast so you probably won’t notice the delay – and you won’t have to revise all changed items after updating locked products. In the past, WP-Lister fetched information about new sales on eBay by requesting the latest transactions – which was the only available way to do so when development on WP-Lister started – and it could not combine multiple transactions into a single order in WooCommerce. The new version though fetches the latest orders from eBay and will create combined orders in WooCommerce – all you need to do is to switch the update mode from Transaction to Order in general settings. This will replace the old Transactions page with a new Orders page, but you will still be able to access the old transactions via a link on that page. The free version on wordpress.org will be updated next week. The new Import from eBay to WooCommerce plugin will create an exact copy of your eBay store right in WooCommerce – including all products, variations and store categories. 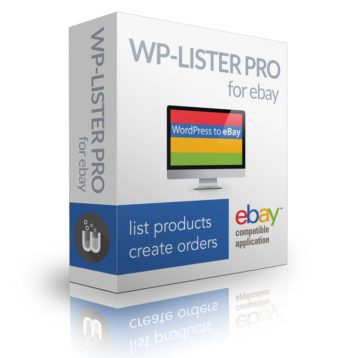 Since this plugin uses WP-Lister to connect to eBay, you need to install WP-Lister first – both WP-Lister Pro or the free version will do. In return you’ll find all your listings already set up in WP-Lister after the import – so you are ready to go if you want to use WP-Lister to manage all your products in one place from now on. You’ll find more details and screenshots on the plugin page. If you have any questions or feedback please contact us or leave a comment below. We are glad to announce that we’ve added support for MarketPress to WP-Lister. This not only means that another 5 digit number of WordPress shop owners can list their products on eBay now – it means you can choose and migrate any time between the four most popular e-commerce plugins for WordPress: WooCommerce, WP e-Commerce, Shopp and MarketPress. While keeping all your listings and settings! Don’t forget to subscribe to our blog or follow us on twitter if you want to get informed of latest updates. We’re going to have some interesting news. Update 29.07.13: Support for MarketPress had been deprecated – future versions of WP-Lister will support WooCommerce only. Item specifics are custom product attributes like Brand or Size. While including item specifics in your listings is optional for most categories, eBay requires them for some categories like Clothing & Accessoires. If all your items share the same brand and style, you can enter these right here in the profile. For some item specifics eBay only allows to choose from a list of provided values – like “Size Type”. For other item specifics you are free to enter your own values, but you will see some recommended values while typing. If you want to use a custom attribute as a source for an item specific value, you can select any already defined attribute in the third column. WP-Lister will pull the value from there when listing your products. I hope you like the new feature. More will come soon. If you have any questions, just write a comment or an email. I’m loving your plugin and your support is awesome too. My eBay listings look great and you saved me tons of time. I’ll use my saved time to more effectively to build my business than the tediously uploading to eBay, and yet, eBay uploading is magically happening in the background, what a gift! Truly Amazing Product! WP-Lister has saved me countless hours creating Ebay listings from my WordPress shop. Never again will I have to manually duplicate products to list them on Ebay. WP-Lister ensures there are no variances between the products on your website and your Ebay Store. Five Stars to the development team and superb customer service! Genius plugin, thanks so much for helping me out. I just listed a product on eBay & am amazed how easy it is! If WP-Lister was simply a listing tool it would be worth $149… so much easier than using eBay to list. But on top of that I don’t have to manually update stock. Awesome. I was previously using Joomla & Virtuemart and found it difficult and expensive to get eBay integrated with my website. You’ve now made the process seemless and incredibly easy. Your customer service is fantastic. WP-Lister has literally saved me 4-5 hours a week with the inventory sync. Not only this, it makes creating a professional listing on eBay a breeze. I couldn’t ask for a better way to expand and present my store on eBay. For general enquiries and pre sales questions please use our contact form. If you have a support request or want to submit a bug, please visit our support page.